JEDx is only as good as the people who believe in it. The event is fueled by the encouragement and passion of community members just like you. Want to see this event get off the ground? Help make it happen! Sponsoring JEDx opens up even more opportunities for you, your company or organization. Tap into Toronto’s largest attraction for Jews ages 22-35 through 8 different Levels of Sponsorship for brand recognition and perks that will help you reach tomorrow’s generation today. 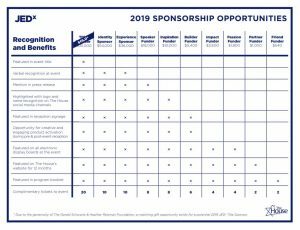 Other Sponsor opportunities include In-Kind gifts, and more! 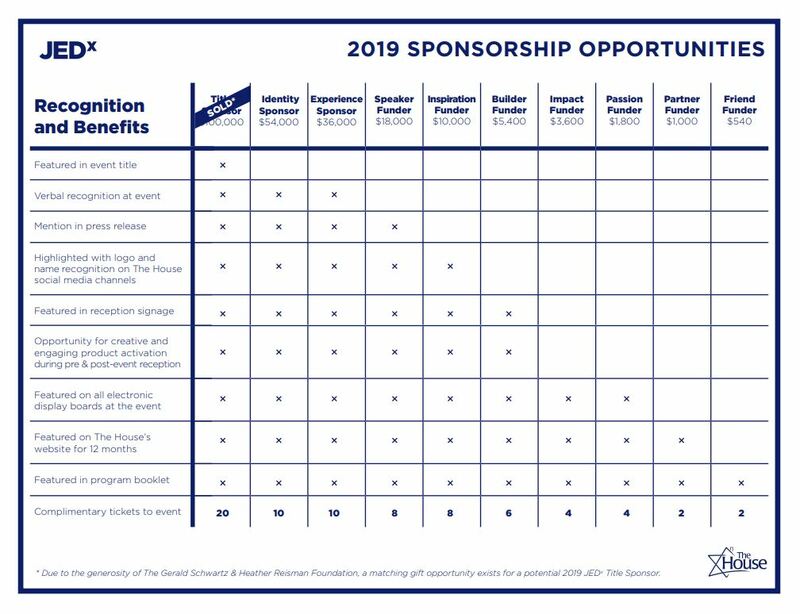 Interested in becoming a Sponsor, or know someone who’s on board?